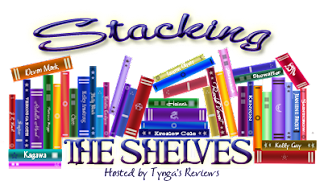 Stacking the Shelves is an awesome meme hosted by Tynga's Review. Bloggers share the books they've received, bought, borrowed - and I collect more and more books for my 'must acquire' list. Note: All blurbs are straight from Goodreads. There's a first time for everything... and sometimes that means a first time at a second chance. It's been seven years since Maddie Martin's parents died. Their killer wasn't just a random stranger, but her best friends' father. Kyle Hadley. The boy she's been in love with since she was old enough to understand the emotion, the boy she promised all of her firsts to. Worst of all, Kyle's father got away with it, and Maddie hasn't seen Kyle since. That changes on her first day of college. Seeing Kyle again brings back all of her childhood feelings of friendship and love for him, but it also brings back the anger, sorrow, and pain she's been trying to bury because of his father. 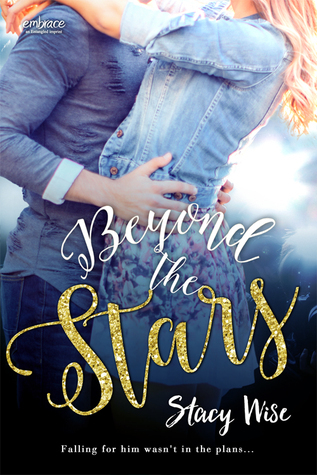 Kyle Hadley has no idea why Maddie quit talking to him, especially when he needed her most. But he got over it, refusing to waste his life mourning the only girl he ever loved. There are too many women, too much of life to experience to bother thinking about Maddie. Except he does. And when he sees her again, he knows it. But there are problems beyond Kyle and Maddie and their old feelings. The two of them are in danger and one or both might end up dead. Chelsea's Thoughts: First, I love Curiosity Quills, the company publishing Because of You. 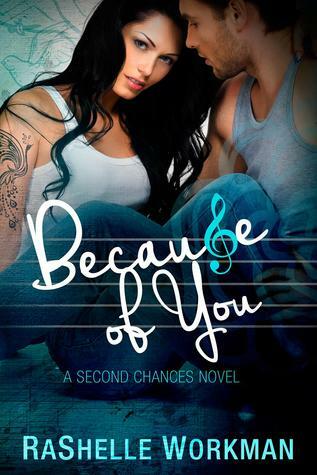 This book is very contemporary romance, which seems a bit out of what I normally read from this quirky publisher. I love the cover; I think it's eye-catching. And I really liked the blurb (though I normally don't go in for second chance stories). This seems more like circumstances pulled them apart rather than some horrible turn in their relationship. Review scheduled for January 14. Chelsea's Thoughts: Another cute cover, another publishing house I trust. I thought the concept here was cute too, and I like the combination of prickly and competent forced together. This one comes out on Feb 8th, so expect my review next month! Chelsea's Thoughts: Eidetic memory! Tech corporation! secret mission! Trip to the future! Badass cover! I'm in. It's scheduled for release April 1st though, so a bit to wait on this one. Sinners, whores, and sluts beware—your time is at hand: a faceless menace is threatening lingerie models on a cross country tour, and Ethan Brodie is there to defend and protect. Ethan’s learned the hard way that beauty is no substitute for character. So even though Valentine Hart is one of the most breathtaking women he’s ever seen, he’s keeping his hands off and his eyes open. Or that’s what he tells himself. Then one of the models is murdered, and the closer Ethan gets to the answers, the closer he finds himself to Valentine—and the hotter the pressure feels. There’s more to Val—more to the other girls—than he could have guessed. But one is keeping a secret that could kill them all. Chelsea's Thoughts: I've had a love-hate relationship with Kat Martin. I've really liked her historical romances, and I liked the few Raines of Wind Canyon books I've read, but the Brodies of Alaska didn't quite hit the mark for me. I'm excited to see how this series starter reads! I'm blog touring it on Feb 2nd! Reckless by Kimberly Kincaid - I'm touring this one at the start of February. Did I Mention I Need You? by Estelle Maskame - I haven't read the first book in the series. Has anyone read this series? It first appeared on Wattpad. Do I need to read the first book to know what's happening/care about the characters? I have until March to figure this out. The Knave of Hearts by Elizabeth Boyle - On tour at the end of January, should be my last review of this month! Lady Bridget's Diary by Maya Rodale - I'm touring this mid-February, and I'm excited by the American heiress in England/Lord Darcy/Bridget Jones' Diary vibes. Husband Wanted by Charlotte Hughes - This is being re-released soon as a new edition, with changes! Fixer-Upper by Ines Saint - This one has a really cute cover, and I'm hoping is a sweet counterpoint to some of the darker/suspense stuff I've got on tap. Into the Dim by Janet B Taylor - Earlier, I had a YA book about time travel into the future. Well, this one takes me into the past. Should be fun! Flirting with Fame by Samantha Joyce - There's so much in the blurb for this book that I love, I wish it was being released in January (it's not; Feb 29) so I could more easily justify bumping it up my reading list! I picked up thirteen books this week, all new releases for review. I've read five books this week, and I'm half-way through The Book Thief, so I'm calling it a win overall. I didn't pick up any extras, I slotted everything directly into my blog schedule, so I know where I am on that front. I'm happy! As always, if you have written a review of any of my 'for review' books, please drop me a link here in comments or email/tweet it at me so I can include your link in my 'don't take my word for it' section of my review post. That's it for me this week. What's on your list this week? Lady Bridget's Diary by Maya Rodale sounds like a fun one. Happy reading. 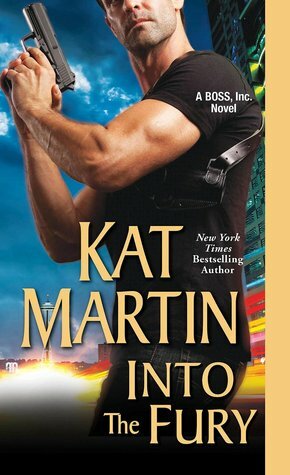 I like the Kat Martin book!! I haven't heard of most of these, but a couple things sound good! Great haul!